Respectful Exits calls itself the “organized voice of aging workers,” and it aims to give voice to a group that is often forgotten (except in the most legalistic way) in the whole question of work-life and diversity. 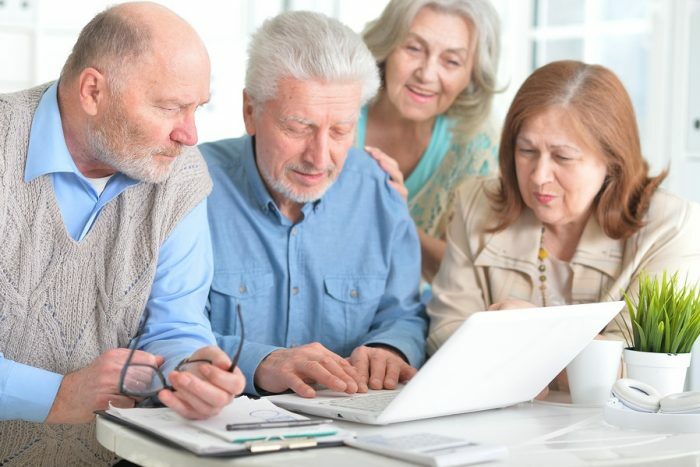 It advocates for an end to mandatory retirement ages and encourages employers to implement policies promoting inclusiveness and flexibility, allowing employees to both work longer and retire more gradually. Founder and CEO Paul Rupert is an innovative thinker and highly-respected organizational consultant. He has long advocated for workplace flexibility as a smart business practice — not to mention being good for employees and society as a whole. Now he’s taken on what he sees as a neglected frontier: The question of when and how to retire. And he’s brought on an impressive team to support the cause. Respectful Exits makes the argument that the goal of a previous generation — work hard and retire as early as possible — no longer makes sense for employees or their em ployers. People are living a whole lot longer than they were in 1936, when 65 became the standard age for receiving social security. They’re also saving less — according to Respectful Exits’ website, 50% of workers aged 50-64 have less than $14,000 in savings (over 20-30 years, they point out, this breaks down to $50/month)! Add to that the fact that the massive population wave of baby boomers is currently hitting age 65 and retiring at a relentless pace (10,000 boomers a day are reaching that milestone, and the tsunami will continue until 2029). And, finally, that most people don’t want to retire at age 65. A Gallup survey found 63% of workers hope to work longer and ease into retirement. Yet only 5% of employers offer formal programs allowing them to do so, says Respectful Exits. The argument from Respectful Exits is straightforward: Give people options and those who want to have the mental stimulation, purpose, social networks and/or income that may come from work can have all that — while employers won’t lose some of their most experienced workers overnight. To make change happen, Rupert has assembled an impressive team that includes leaders and activists in workplace diversity, flexibility, work-life and general workplace innovation. They are appealing to both employees and employers, with multiple opportunities for action. Employee options range from simply signing on to join the campaign to creating a “Longevity Forum” at work, to negotiating for their own flexible retirement. Employers are urged to take even more concrete steps by adopting the Respectful Exits Longevity Agenda: End both formal and informal retirement age policies, ensure ongoing training (to keep workers at every age engaged and up-to-date), institute phased retirement, formalize flex work policies and strengthen financial wellness programs. Since Respectful Exits is an advocacy organization and is a project of the non-profit New Ways to Work. I don’t know how old you are, dear Reader, and I’m not about to tell you how old I am. But I will say I’m grateful to be self-employed, as I have no intention of letting anyone tell me when to retire. “We challenge 65 as the widely-assumed ‘sell-by’ date. Milk curdles; people don’t,” say the folks at Respectful Exits.